I’ve been talking to Shelby and Chris for months leading up to their engagement session. We decided that it’d be best and fitting to shoot in the Upstate; we met a Jones Gap State Park. I had never been here before but it was beautiful and there was plenty of visitors that day. The trails were gorgeous, and lead to many bridges that spanned over the mountain creek. You could hear the waterfalls above and the water running over the rocks. It was such a calm and relaxed atmosphere. I’d actually love to go back and actually hike it in real boots! 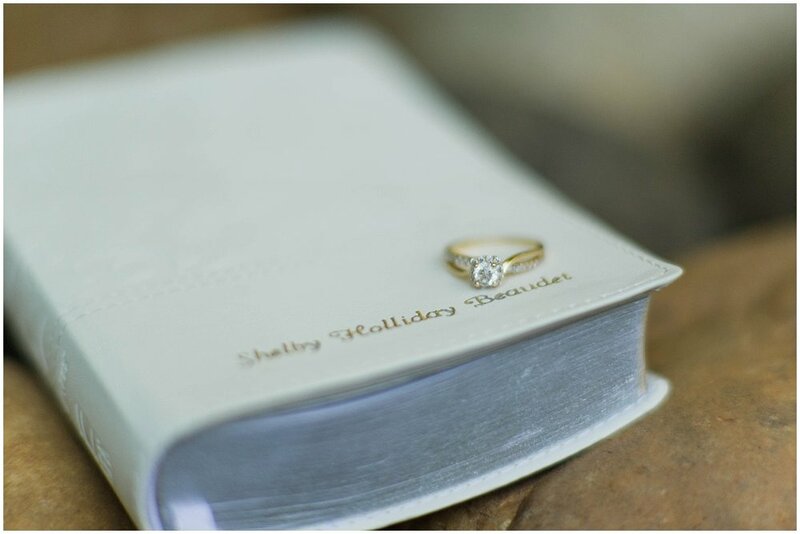 They brought these special items to their shoot for me to gather detail shots to incorporate. I love, love, love details! I love the way Chris lit up with Shelby. The love between them is so pure and genuine. Their wedding day is going to be so much fun, full of love and lots of laughter. I can’t wait to spend the day with them and their families! Check out their love story below and leave them some words of advice for leading up to their big day!